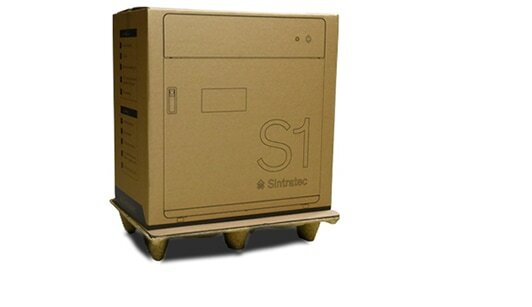 ​Whatever parts you need for your project, the Sintratec S1 brings your digital objects to reality better than ever. 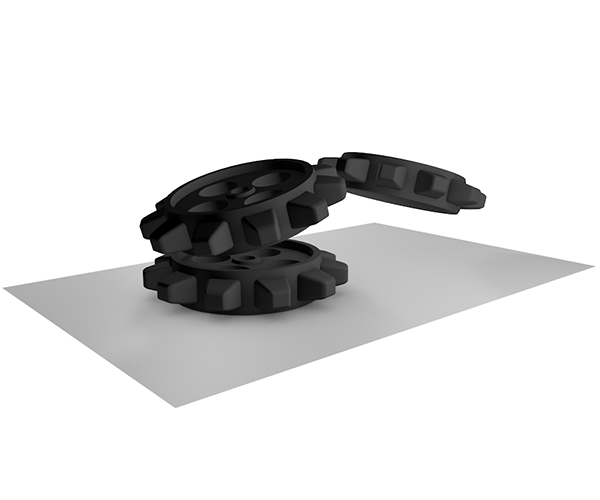 You can print functional parts and bring your crazy shaped design concept to life. ​Combined with the Sintratec PA12 Powder, the Sintratec S1 enables you to print strong, temperature resistant, precise and durable work pieces. 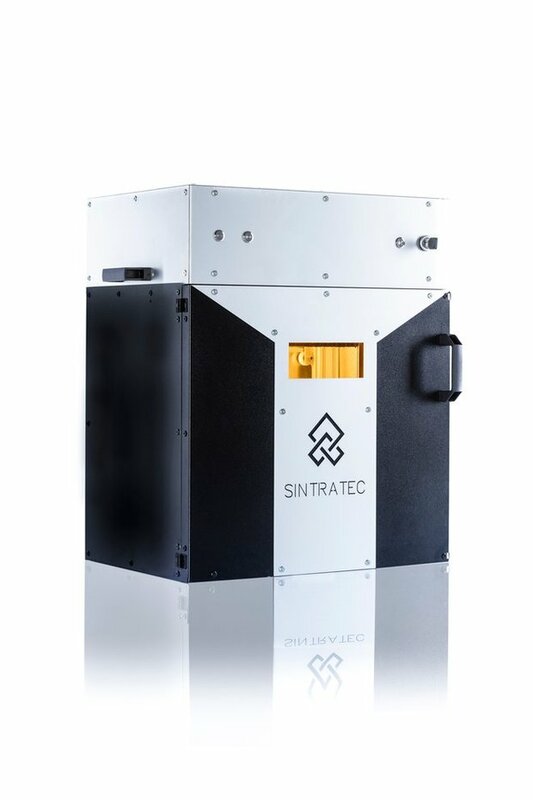 Explore the wide range of application possibilities within additive manufacturing and rapid prototyping with the Sintratec S1. ​The print volume is 130 mm x 130 mm x 180 mm. 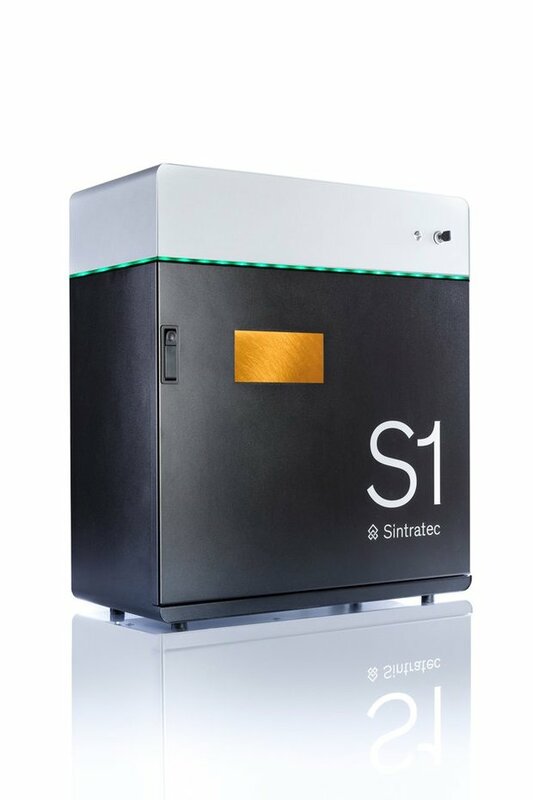 ​Compared to other laser sintering equipment setting up a the Sintratec S1 does not require special on-site installations such as industrial ventilation systems, high voltage power supply or pressurised air. A standard power connection is sufficient to operate the machine. Sintratec recommends installing the printer in an environment where powder residue does not pose a problem. What are the main advantages of Laser Sintering compared to other 3D printing technologies? ​What materials can I use? ​The main print material is a high performance polyamide 12 polymer. 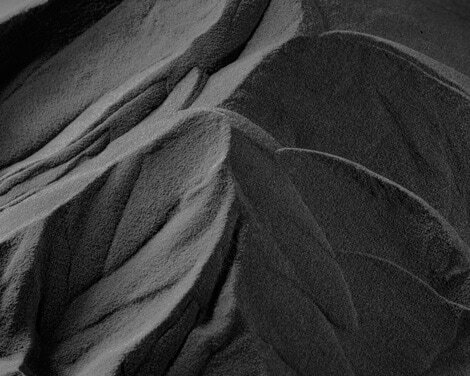 To extend our material portfolio Sintratec is continuously researching new materials. Visit our material section for more information. ​Can I print with metal powder? ​No, the S1 does not support metal printing. ​Where can I order additional powder? ​What operating systems are supported? The Sintratec Central Software is available on Windows. We support Windows 7 64-bit and Windows 10 64-bit. Sintratec recommends wearing a provided dust mask while handling powder. Before you start printing with your Sintratec S1 machine, please read the safety section in the operating manual carefully. ​3D Prints in almost infinite freeform, movable parts and high edge definition are ideal for the production of functional prototypes and models. It is possible to print various objects up to a size of 11 x 11 x 11 cm. 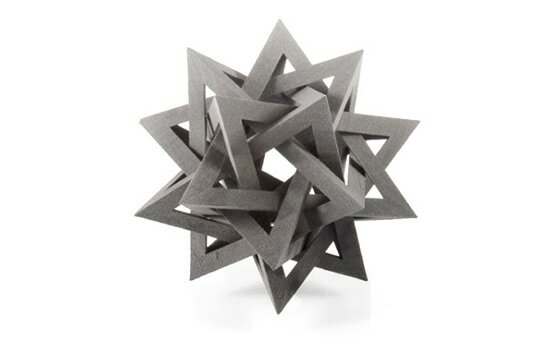 ​Laser sintering supports printing in nearly infinite freeform. You can even print movable assemblies and multiple nested objects all in one print. ​Due to a very precise selectivity objects can be printed in high resolution. Therefore it is also possible to produce complex geometries with smooth edges and surfaces. ​The Sintratec Kit has been a success story long before its launch. In 2014, the first limited series of 60 sets of the Sintratec Kit was financed within a month with the help of a crowdfunding campaign. Half a year later they were delivered to the first customers.The foundation stone for Sintratec enterprise could not have been laid without the participation of all the numerous supporters out there. ​Installation and commissioning of the Sintratec Kit are possible even without technical knowledge and take approximately four working days. Follow the step-by-step instruction included in the package for a better understanding. We recommend you to install the printer in an environment where powder residues do not pose a problem. A normal power connection is sufficient for commissioning. The supplied software will start the printing process. The computer can be connected to the printer via USB port. We recommend you to buy a sandblaster in order to clean the printed objects properly. ​What are the main advantages of Laser Sintering compared to other 3D printing technologies? ​Please send us your shipping address so we can check with our forwarding partner. ​There might be local duties and taxes of your country charges. We recommend to check on http://www.dutycalculator.com/ before you order (use "3d printer kit" in the product description field). 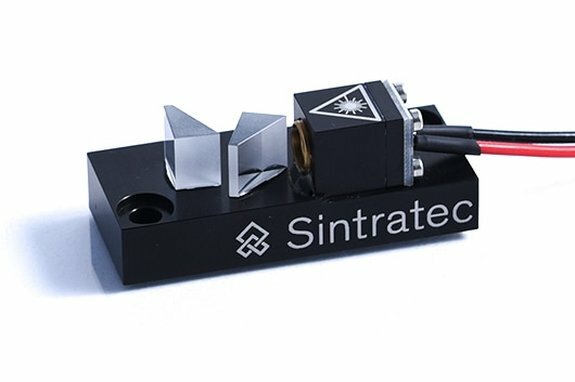 Is the Sintratec Kit really a kit or does it come fully assembled? ​The Sintratec Kit comes as a kit. 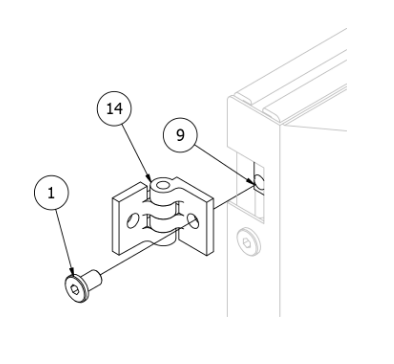 You can assemble it with basic tools such as screwdrivers and allen keys. You will get the kit together with a detailed assembly manual. On avarage it takes 4 days to assemble. If you expect it to be "plug-and-print" the Sintratec Kit is not suitable for you. You can get an impression of the assembly manual here. ​The main print material is a high performance polymer (nylon), the PA12 powder. 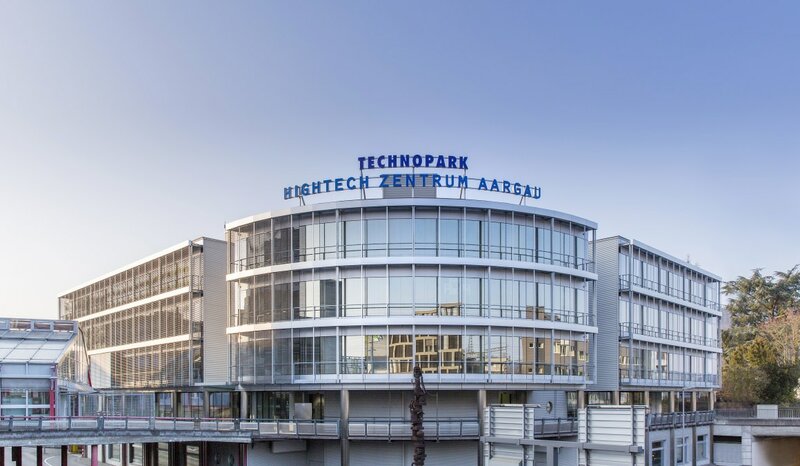 To extend our material portfolio we're continuously researching on new material possibilities. 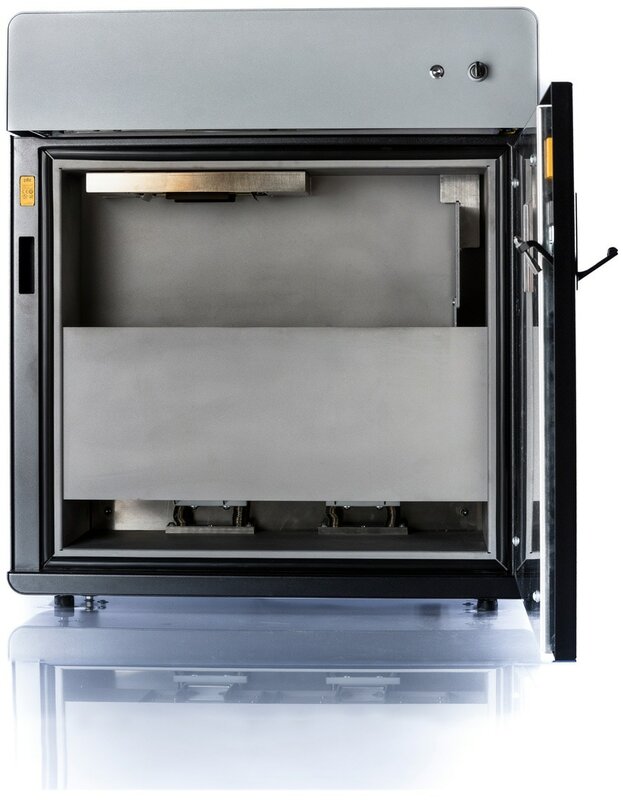 Can I print metal powder? ​No, you cannot print with metal powder with the Sintratec Kit. Where can I order additional powder? ​Please visit our web-store for additional powder or contact us for ordering larger amounts. What is the retail price of the Sintratec Kit? ​The retail price of the Sintratec Kit is R90 000. As a university or school you profit from our educational discount. Please fill our enquiry for a special quote. The Sintratec Central Software supports Windows 7 64-bit and Windows 10 64-bit. What are the prerequisites to run a Sintratec Kit after it has been assembled? ​You need a well ventilated room. You will need enough space around the printer to refill powder, remove excess powder and recycle it. You need a computer meeting the Sintratec Software requirements as well as an Internet connection to download and update the software. You need a regular power socket. If you live in a country with different power plug, you need an adapter or a regular computer power cord with your local plug-type neck. ​What resolution has the Sintratec Kit? ​The Sintratec Kit prints with a layer height of 100 to 150 microns. Note that due to the nature of laser sintering, the apparent surface finish is much better than FDM prints. How fast is the laser scanning? ​The speed of the laser scanning is depending on the material and the settings used. You can print with 650mm/s and more. ​We recommend wearing a dust mask while refilling powder, removing excess powder or recycling powder. Always unplug the Sintratec Kit before opening the cover plate or servicing the Sintratec Kit in general. Always wear the laser safety glasses when removing the laser safety box or when calibrating the laser. How long does it take to assemble a Sintratec Kit? ​We found that a person assembling alone needs on average four days to assemble and set up a Sintratec Kit. ​The Sintratec Central Software enables you to be in control of the printing process. 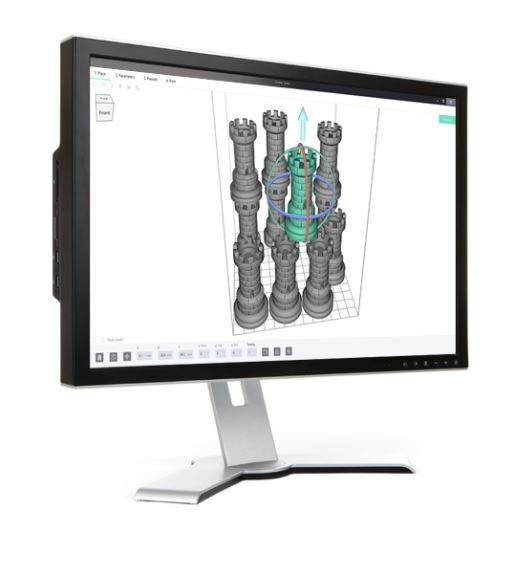 The step-by-step guidance and the user-friendly design allows for easy handling of your 3D-files and the print settings. 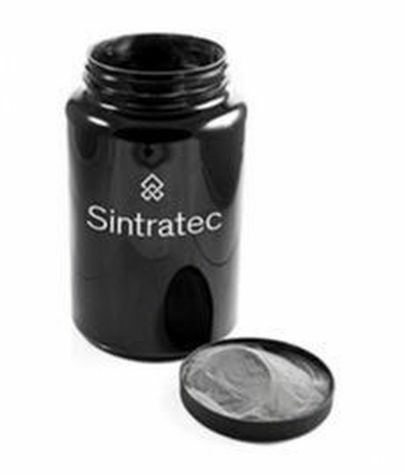 ​The base material for Sintratec's 3D printers is an industrial grade polyamide (Nylon) powder. 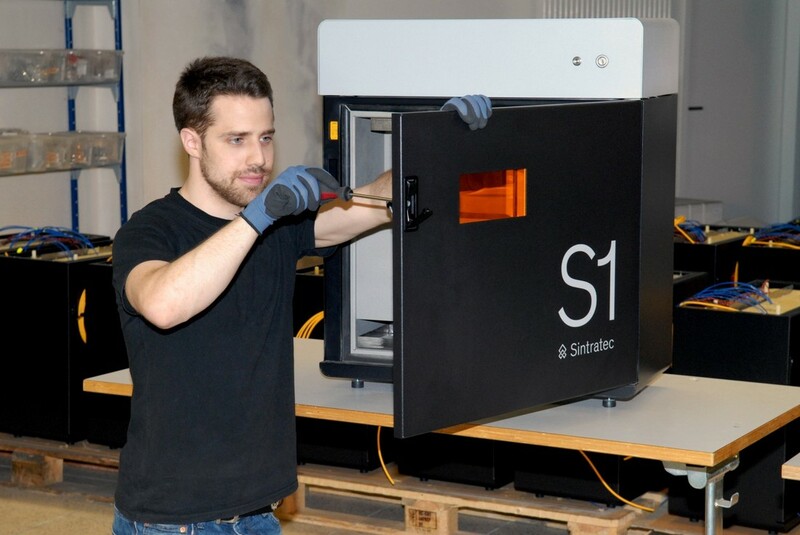 The Sintratec PA12 powder enables you to print strong, temperature resistant, precise and durable work pieces. 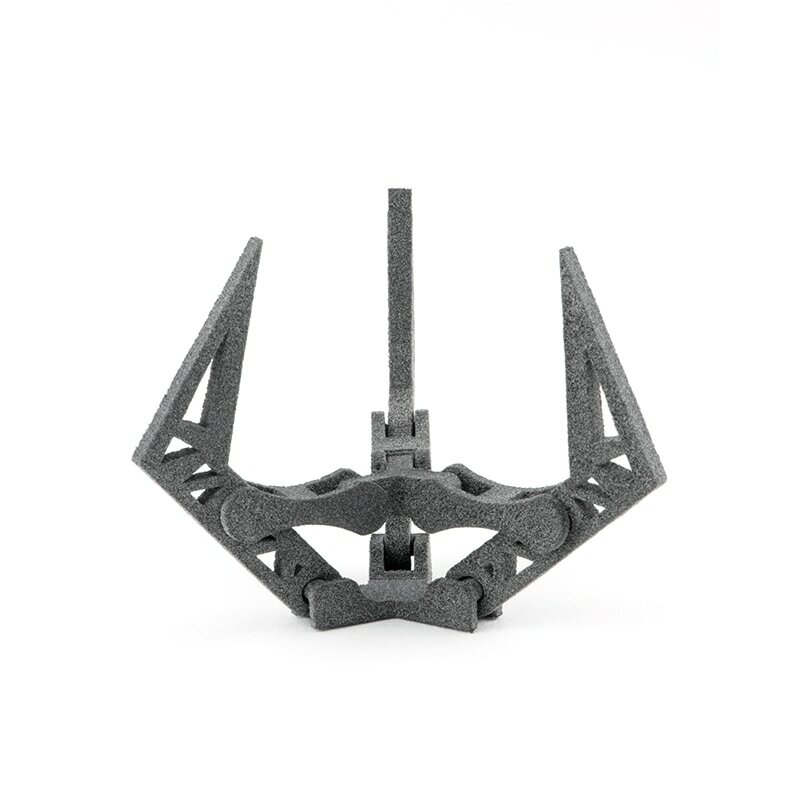 ​The industrial grade PA12 is specifically engineered for high-end additive manufacturing. The material guarantees high stability and resolution and is especially suited for printing complex objects. If desired prints can be surface treated and coated. ​Sintratec PA12 printed parts can be used for functional prototypes in mechanically demanding applications and end-products.